An extreme far right group modelled on Sir Oswald Mosley’s British Union of Fascists plans to put candidates up for community council seats in Scotland. 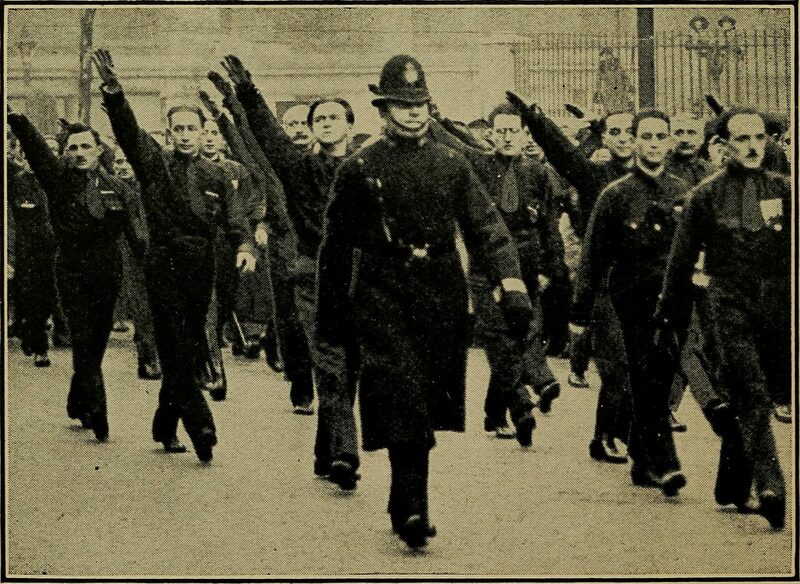 The New British Union (NBU) idolises British fascist Mosley whose violent supporters wore Nazi-style uniforms in the 1930s and were known as Blackshirts. The openly fascist group is recruiting on Twitter and is led by Gary Raikes, the British National Party’s former leader in Scotland. An official NBU document seen by The Ferret reveals that NBU plans to stand supporters as independent candidates to build support locally across the UK. The document explains what Raikes terms as the “Quiet Revolution”. It says: “The important action is that cells should try to center (sic) around a member willing to stand in parish/local elections as independent candidates and help get them elected. The document adds: “The action is true, grassroots style politics – fostering change nationwide, from the local level. The fundamental application of this philosophy is the induction of true British nationalists in all forms and level of local government. “We at the NBU have recognised that obtaining appointment to parish and community councils is both a symbolic, and practically necessary starting point, in the pursuit of this philosophy of action. Raikes formed the NBU in 2013 after leaving the BNP. He was also a member of the anti-Muslim group, Britain First, led by Scottish Loyalist, Jim Dowson. At the 2007 Scottish Parliament election Raikes was a BNP candidate for the North East Scotland region. In 2015 the NBU claimed it was targeting Elgin politically prompting a backlash from locals. The NBU uses Nazi iconography while Raikes posts sinister propaganda videos of himself speaking while dressed in a black uniform. Another video on the NBU site is of far right activist Stephen Yaxley-Lennon, aka Tommy Robinson, who is an advisor to UKIP. Yaxley-Lennon is a former BNP supporter and football hooligan who has been convicted of multiple crimes including mortgage fraud and assault. In one video Raikes says he is trying to “unite the right”. Unite Against Fascism said: “Thankfully the far right in Britain is divided, whether this numpty has the ability to unite them remains to be seen. What can be seen from NBU website is that Tommy Robinson is the lightning rod that they are trying to use to unite the far right. “Although the slogans and emblems of the NBU look old fashioned from the 1930’s we can see when they were used last year in the the “unite the right” rally in Charlottesville in America that they can become potent once again. Raikes said: “We are not supporters of Tommy Robinson. We supported that specific issue not the man. We have been recruiting for six years. Social media is just one way of doing that. I fully expect you to deliver a bias twisted report detached from reality and know I will not be disappointed. A version of this story was published by the Daily Record on 19 January 2019. Photo thanks to Flickr.